The Sari Squad were a group of activist women, mostly South Asian, who helped to defend multicultural clubs and gatherings from racist attacks in the early 1980s. Based in East London, they campaigned to raise public awareness for Afia Begum, a young Bangladeshi widow who was deported from London with her child, Asma, in 1984, despite there being no concrete justification for such action. Her treatment was harsh, described by the European Parliament as ‘callous and showing the racist and sexist nature of the United Kingdom immigration laws’. In April 1984, the Sari Squad took their case to the European Commission of Human Rights. However, in the same year, and before the Commission could rule, the UK Government arrested Afia in a dawn raid and deported her. Just what he means by ‘adequate machinery’ is unclear, but if this recent interview with Benjamin Zephaniah for The Guardian is anything to go by, it wasn’t so much machinery but bigotry in the form of attacks, especially from the National Front, that operated to control immigration. Retaliation was a means of survival (‘we still had to fight them on the street’), and Zephaniah praises the ‘legendary’ Sari Squad for the way they fought against racism. In this extract, taken from our video magazine, Despite TV 3, various members of the Sari Squad discuss how they go about fighting for tolerance and justice, and why Afia Begum’s case is so important to them. Although the footage was shot in the 80’s, it remains just as current today, in our increasingly unsettled, multicultural, yet ironically intolerant society. The post-Brexit climate of casual racism and violent racist attacks makes it all the more crucial to raise awareness that this kind of intolerance is just as prevalent and unjustified today as it was then, and we must continue to raise awareness. This video is available to watch on Vimeo, and is part of a new series of archive material from Despite TV, which will be re-circulated over the coming months. Twenty five years ago Despite TV filmed the documentary, ‘Out of Line’, on the subject of London Pride 1991. Having already taken an interest in documenting the LGBT (Lesbian Gay Bisexual and Transgender) political struggle as it was happening (Despite Clause 28 – 1988). This longer documentary film takes a celebratory approach to the community’s political and social wins. The events of 1988 seem almost forgotten as 25,000 LGBT activists and allies gathered in London to take part in Pride 1991. The event, a march through the streets of central London ending with a party in Kennington park, had grown in popularity since 1988, thanks to activist groups such as LGSM (Lesbians and Gays Support the Miners) and Stonewall who worked hard to achieve greater acceptance, giving more people the courage to come out, even if just for one day. 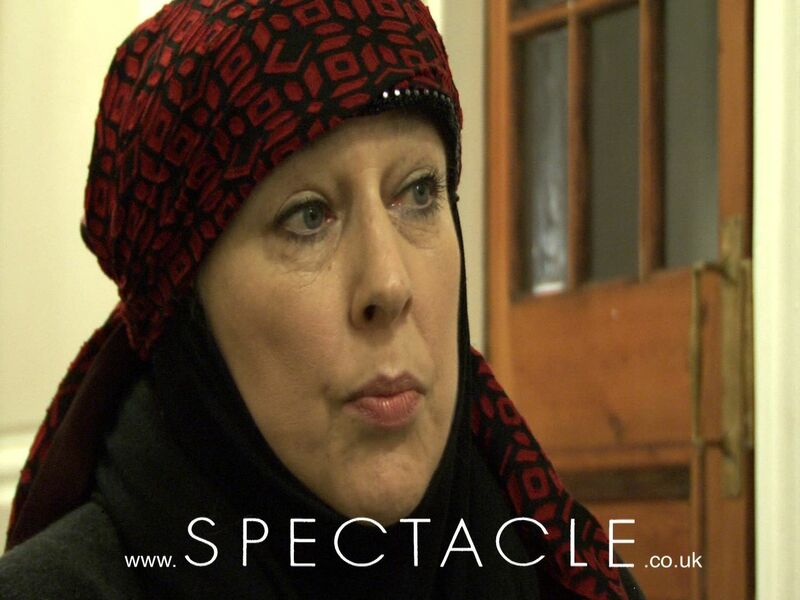 Opening with footage of the celebrations on the streets of London, the film gradually takes on a more political tone, interviewing individuals about their experiences of homophobia and discrimination. The filmmakers talk to the Lewisham Lesbian Mothers group, who march in the parade with children and babies in tow. One woman is interviewed about her struggles conceiving and raising a child as a lesbian mother – a subject rarely discussed in the early 1990s. The film also incorporates several interviews with BME (Black and Minority Ethnic) LGBT individuals and groups, who discuss the particular challenges they face living at the intersections of numerous forms of oppression – often facing homophobia in Black communities, and racism in LGBT communities. As well as being an insight into London Pride from 25 years ago, the film succinctly summarises the struggles still faced by LGBT people in 1991, and the social and political strides they had made in changing a society which dismissed them. The full film is available to rent or buy here. A DVD of the film is also available here. The Berlin-based Amadeu Antonio Foundation is organising an exhibition about Antisemitism in East Germany. “Germany after 1945: A Society confronts Antisemitism, Racism, and Neo-Nazism” explores the relationship between the country and the widespread anti-Semitic attitudes in Eastern Germany. The exposition focuses on the history of the Holocaust as well as on the current right-wing extremism in Germany. Furthermore it shows initiatives to protect minorities and promote democracy in every day life . The exhibition also features a picture of “The truth lies in Rostock“. The film was produced in 1993 and is one of the rare documents about the riots in Rostock-Lichtenhagen 20 years ago. “Germany after 1945”, which is designed as a touring exhibition, opens its doors on Tuesday, August 21 in Berlin. Next spring the exhibition can be seen in New York. Or visit our The Truth Lies in Rostock project pages for more information and videos. John Carlos, who marked his medal at the 1968 games with a raised fist ‘black power’ salute, will speak about inequality, resistance and struggle in London on Monday 21st May 2012 at a meeting organised by members of the RMT trade union on the London Underground and sponsored by the Fire Brigades Union. 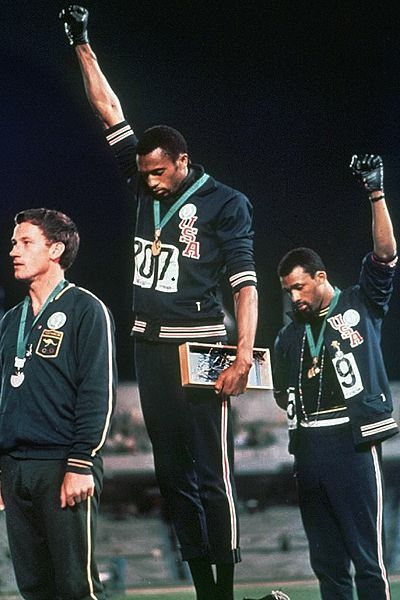 The famous gesture by John Carlos and fellow medal winner Tommie Smith epitomised resistance to racism. The world is under the spell of the Olympics 2012. In these times of global gathering around an sports event, resistance is the best Olympic spirit according to Olympic athlete Carlos. Resistance against inequality and being pro human rights. At the Olympic Games in Mexico City John Carlos created one of the most powerful images of all times. When the American anthem started, he and Tommie Smith bowed their heads and raised their fists to represent the Black Power movement of that time. Their way of dressing and posing represented symbols for working people, black poverty, peace, and lynch mob victims. In defies of the important Olympic rule: no politics. This controversial gesture created huge debates about politics. Carlos’ athletic career was over, but his human rights spirit did not die. He represents personal sacrifice for humanity and equality and this is your chance to hear him speak in real life. John Carlos will be joined by activist and campaigner Doreen Lawrence, whose son Stephen was murdered by racists and whose long battle for justice brought the conviction of two of his killers earlier this year. Also on the platform will be Janet Alder, whose brother Christopher died in police custody, and Unite Against Fascism joint secretary Weyman Bennett. Other speakers include Samantha Rigg-David from the Sean Rigg Campaign for Justice and Change and United Friends and Families Campaign, Sharhabeel Lone of the We are Babar Ahmad Campaign, FBU general secretary Matt Wrack and Mac McKenna, an RMT activist on London Underground. Register here for FREE! and join the FaceBook page. 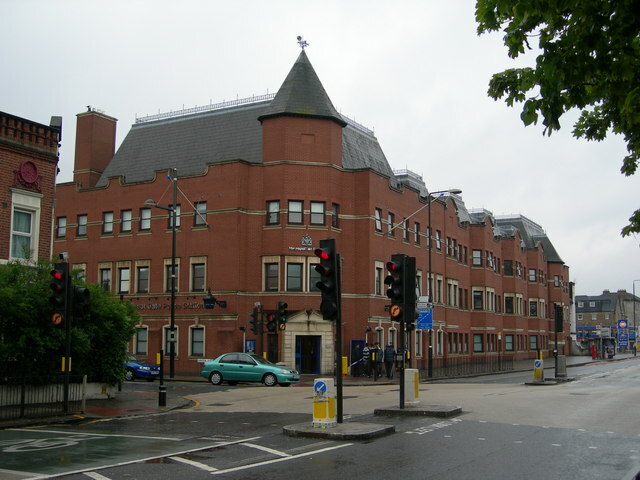 Forest Gate Police Station located in the Olympic borough of Newham is at the centre of alleged racist assault. The London Olympics website states that the Olympics are a “celebration of different cultures” and that “diversity was a key reason why London, one of the most multicultural cities in the world” was chosen to host the events. However, these testimonies of ‘celebrating diversity’ have been subsequently undermined from the allegations of racism from members of the Metropolitan police, which could be seen as a form of institutional racism. These allegations of racism echo previous instances of institutional racism which have have been resistant to change. In the 1970s there was a report from a school boy in the borough of Newham who was attacked shows that the resilience of institutional racism in the face of police reform. When the boy was taken by his employer to Forest Gate Police Station to report the incident the police officer, a character that resembled a Dixon of Dock Green style Desk Sergeant on hearing the story bent down under the counter, pulled out a double barrel shot gun and asked: ” Was he Black? We’ll get him wont we lads?” to the cheers of the other police officers in the station. When the Desk Sergeant heard that the assailant was white, and not black and leant his address he sighed, “Oh that lot. That family are well known”. No further action was taken. The professionalism of the Metropolitan police force has once again come under scrutiny after new reports of racism have emerged. Hours after PC Alex MacFarlane was recorded on a mobile phone apparently using racist and abusive language, a colleague PC Joe Harrington was allegedly recorded in the custody suite assaulting a teenage boy. In the first incident of the alleged racial abusive language recorded by Mauro Demetrio, 21, on his mobile phone PC MacFarclane is heard saying that “You’ll always have black skin colour” has been recently suspended. While PC Harrington was not heard making racist comments on the recording he was one of the three officers investigated for the alleged assault of Mauro Demetrio. Soon after Demetrio was held custody at Forest Gate police station where he witnessed PC Harrington allegedly assault a 15 year old boy who was handcuffed. Demetrio stated that he saw PC Harrington kick the teenager in the back of the leg and once he was on the floor, kneed him in the back. After Demterio’s report has been made public, a separate Independent Police Complaints Commission (IPCC) investigation was launched into the case of the 15 year old and subsequent CCTV footage of the incident has been found. The close proximity of these events which occurred during the London riots last August has caused concerns over the way police officers operate. More controversy has arisen due to the initial advice from the Crown Prosecution Service (CPS) police complaints department that neither officer should be charged . This has subsequently caused pressing reviews by the CPS. In recent years security has become a central issue in the planning of the Olympics, as the games will see some 12,000 police officers patrolling the streets of London at any one time as well as 5,000 military troops supporting them. However, are the recent allegations of racism undermine the security projects planned for the Olympics? A spokesperson for the Newham Monitoring Project has stated that even “after years of re-branding its poor reputation of racial inequality, the culture of racism within the Metropolitan police is still deeply embedded.” “With 12,000 police officers based in Newham during the Olympics the borough’s black communities face the prospect of a regime of repressive policing” that mirrors an apartheid approach to policing. Black Olympic athletes may want to think twice about sightseeing in Newham.